Gamblers have been battening down the hatches in more ways than one, as America braces itself for what could be one of the most devastating storms ever. Hurricane Irma made landfall in Cuba as a category five storm, the most powerful designation there is, with winds up to an unimaginable 185mph. Next in her sights was the Florida coastline, and those planning a trip out to win some money on the waves were forced to make other plans. Streamboat was one of the biggest poker stories Florida had seen in 2017. For anyone who has been living under a rock, Bill Perkins’ project takes some of the top poker players out onto the high seas in his luxury yacht, where they get down to some serious WCOOP action. The plan was for stars including the Staples brothers, Jamie and Matt, along with names like Jeff Gross and Kevin Martin to set sail from the British Virgin Islands over the weekend for their WCOOP matchup, streamed on Perkins’ Twitch channel. As it is, they are holed up in New York for the showdown, having been airlifted out of the danger zone on Perkins’ private jet last Thursday. The games will continue, but the impact of Irma is at the forefront of everyone’s mind. Jeff Gross has already announced a charity stream to raise money for those in the Virgin Islands who are affected by the hurricane. We might not all have luxury yachts and private jets to fall back on, but the truth is that nobody will be venturing out while Irma is at full strength, so this could be the right time to put up the shutters, get the children and pets safe indoors and settle down to some top online poker action instead. 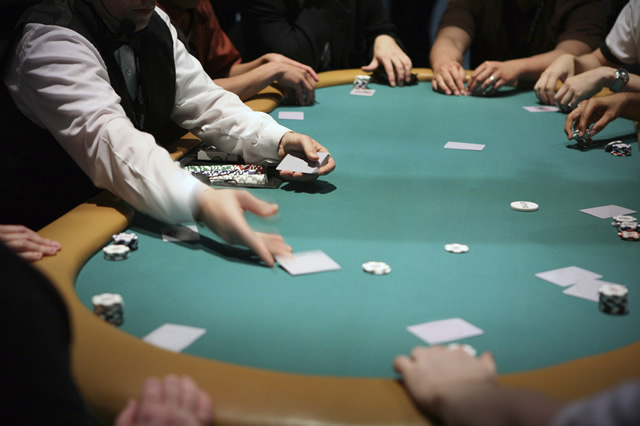 Here is a list of top offers from some of the best known casinos in Germany that welcome participants from across the globe. Online gambling has never been more popular, in terms of both traditional casino games and sports betting, and with major poker tournaments taking place and the NFL regular season getting under way, there can be little doubt that these sites will be seeing plenty of traffic over the coming days. Streamboat 2 is not the only poker action that has been disrupted by Hurricane Irma. Anyone planning to get along to the World Series of Poker event at Sonesta Maho Beach Resort and Casino in St Maarten in November will have to think again. The event has been cancelled in the wake of damage caused by the storm, and the resort has cancelled all bookings for the rest of this year. And the World Poker Tour event scheduled to take place at Seminole Casino Hotel this weekend has also been cancelled in the interests of public safety. It seems there really is no better time to remain indoors and play online. Stay safe.